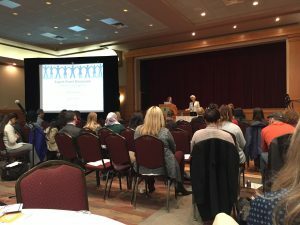 October 27th marked Ottawa’s first Best Practices in Post-Trauma Community Re-Integration Symposium. The event was an exciting day for the Ottawa trauma rehab community and featured FunctionAbility’s very own Matilda Amos who presented “Hospital to Home – A Mental Map to Guide Best outcomes for Your Patients”. FunctionAbility congratulates the organizing committee , presenters, sponsors, audience members, and exhibitors on a successful day.